Tramore Ath 2A champs #3 May 95 R247, a photo by CorkBilly on Flickr. 12th Man or captain? 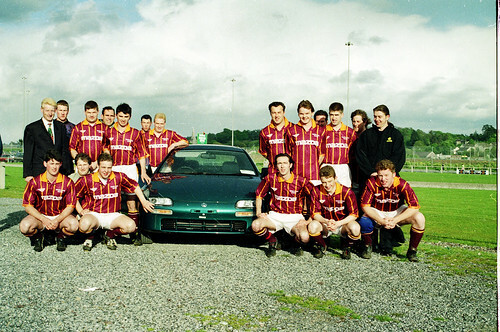 Tramore Athletic brought extra power to their game in May 95. For similar pics, click on image.